German Galven had the most liked content! @Vel Careno Our community welcomes you! And if you have any questions, any of us will be glad to help! I don't remember doing anything to annoy you that much @Kayla Drex!! THANK YOU THANK YOU! YOU'RE ALL TOO KIND! @KDrex and I made a tribute video for the fleet! Congratulations on 25 years and more to follow where no man has gone before! First and foremost, I'd like to thank @FltAdml. Wolf for creating this so many years ago. I wish I had known about this a lot sooner! 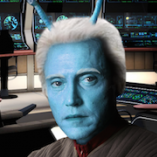 You have made an amazing world within the Star Trek universe and the community at large is so awesome! I've only seen a little on how things work. I have a feeling I've only scratched the surface and I'm so willing to learn more as I grow here IC and OOC. I'm so honored to part of the Community News Team and humbled that you let me become a part of that as well. @Roshanara Rahman and @Mei'konda. I'm so blessed that I came and started my simming experience with you two. You two have taught me so much and I have yet to take it for granted. Thank you for encouraging me to better myself. I've seen such an improvement over the last few months with my sims concerning my actions! I love reading your posts and how you describe every little detail, I can actually picture what the scene looks and feels like! @Sky Blake Thank you for being my mentor and being there when I needed help with a sim. Also sticking around when I had my meltdowns. I'm a hot mess, I know this. haha You've calmed me down so many times when my anxieties flared up and I can't even thank you enough. You always have the right things to say. @Lael Rosek and @Skyfire You two also helped me a ton when I need help and I'm so forever thankful to you guys encourage me to better myself as a person as well as my characters. I don't know what I'd do without you guys. The Veritas and the Montreal has been everything, but boring when we write scenes together! I also want to give a special shout out to @Ayiana. You were such an amazing trainer. Thank you for being the frontrunner in the tips and advice when I was training. I continue to enjoy our chats on Discord. Glad there's someone that's just as nutty as I am. I mean as German is. Second shout outs to @Jalana and @Jo Marshall Thank you so much for my pictures! I know I get distracted and forget to thank you guys so here's a HUGE THANK YOU! haha More shout outs! @CoryCodeRed @Pholin Duyzer @KDrex @Sotak @Tasha MacFarlane @Randal Shayne @Mirra Ezo @Wallace Williams You guys have so much enthusiasm and it keeps mine flowing all the time! Our chats are nothing, but boring. I'm sure I'm missing others. If you don't see your name, don't get offended too much. I'm a scatter brained scientist. And last, but not least... @Groznin Smith You showed me this little rabbit hole back in the beginning of July and I haven't looked back since! Without you inviting me here, my life would be totally different! Much appreciations go to you as well! Awe! Thanks @CoryCodeRed!! This was all so nice to say! I'm glad that I've met you as well. You've helped me a lot with my crazy character requests among other things! You're a great friend and I'm happy that you transferred with me on the Montreal! Even though it's not Dugoras, German seems to get into hijinks with security officers so maybe we can do an off the cuff comedy JP once shoreleave hits! 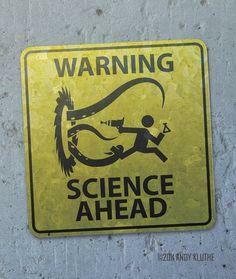 Do scientists need a warning though?